In the majority of the tournaments I have fished this year I used senko’s to round out a limit, and the last event they even caught us our kicker fish and began the culling process. We won that event on senko’s, tubes and jerk-baits, with the 2 larger fish coming on senko’s. Making long casts to the general direction of off shore structure and line watching is a great way to hook into cruising fish. Skipping them up under docks, or working the edges of shallow cover to get fish that are tucked in and passive. Rigged weedless or on a Texas rig and fished like a jerkbait or worm, just some of the ways the senko can be fished. Now lets just clear something up, senko is a brand name, but its become so common to call any type of straight worm a senko that its just assumed, I call it the “Kleenex” effect. That being said, not all senko’s are the same, just about every company has a stick worm bait, and they are not all created equal. From brand to brand different formulas are used, different body shapes, and different colour combinations. Not to say that one is better than the other, but they all have an application that they excel at. This is likely the most important part of what makes each worm different. The salt content directly effects the baits sink rate and weight. The more salt there is the faster the bait will sink and heavier the bait is. Fishing deeper water, or fishing faster is a great time to use such a bait. 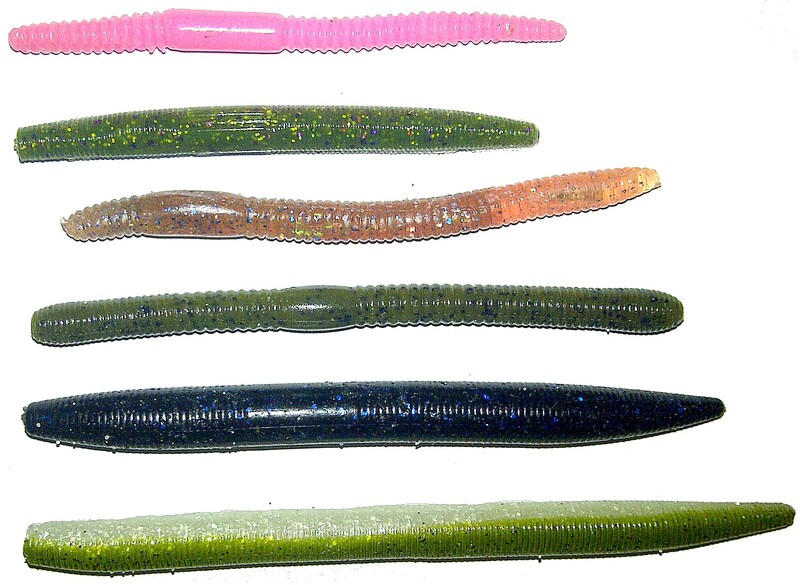 Now when I say faster Im not talking punching weight to the bottom kinda fast, it is still a slow fall, but a Berkley Heavy Weights Worm sinks considerably faster than a Storm Thunder Stick and that can make a big difference in the way it can be presented. The lighter worms will have more of a bow in them if rigged on a weighted hook and also a bit more action due to the resistance. The salt also effects the scent of the bait, bottom line is salt equals blood. 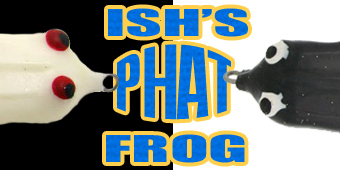 There are two main body shapes you see on the market, a cigar shaped bait where one end is finished blunt and the other end is tapered to a point. With this style bait you have more than just the wacky rig to work with. You can rig it on a texas rig, tex-posed with no weight, on a jig head, shaky style, carolina rigged, with a nail weight and even use it as a trailer. Personally I prefer using this shape in the larger sizes rigged texas style with no weight, only difference is I push the hook through much deeper than I would normally with a worm and weight. The other shape is rounded off edges on both ends. This is a great wacky rig bait, the smaller worms have a slightly more exaggerated wiggle on the way down and in my experience they don’t rig as well any other way. I have dragged them, but had more success dragging them when rigged wacky on a weighted hook. Most worms have grooves in them, some are just a texture, others are full on ribs. 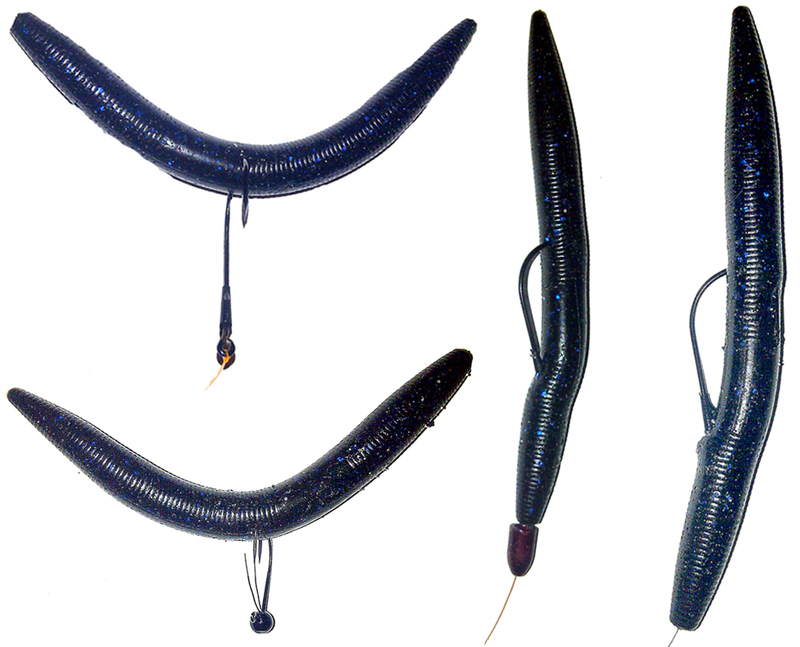 Some worms have a square body with round ribs giving you options on how you want to rig them creating different fall actions, like the Power Team Lures Sick-Stick and worms have multiple flat sides that work like a facet on a bead, creating some extra flash as the bait moves, like the Strike King Ocho. All in all every body shape changes the action ever so much, giving you options to make your bait stand out just a bit from the rest. What can I say about colour that has not been said over and over again. Different colours represent different things. You can match the hatch, or go with bright pink and still catch fish. Just experiment with colours, find some you have confidence in, and use them. I carry 4 main colours in my box, with a few odd balls here and there. I always have a green with black flake, a black, a black with blue flake, and a green watermelon flake. You will see some purple, pink, white, grey, and even orange/rusty colours in my box, but they are definitely not the majority. The reason for that is simple, those are the colour I like to throw, I have had the most success with them, and feel that I can cover pretty much every situation I come across with them. Spend some time on the water and you will also find the colours that work for you. 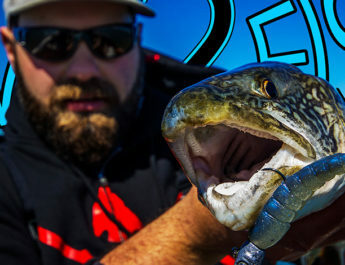 One of the most effective and popular ways to use the senko seems like the easiest, but it take a lot of patience and I am convinced this is why most people hate throwing it. Rig it wacky, toss it to your target and let it sink on a totally slack line. You never feel the hit, you just have to watch your line for any change in movement, or any tick. This takes a lot of patience, and a high-vis line really helps. I have been tying a 8 foot 8lb fluorocarbon leader to 10 lb Power Pro Super Slick 8 in the light green colour. Although after reading that last line, I might switch to 8 lb Power Pro, just to make it sound better….8 foot leader of 8 lb fluoro to 8 lb Super Slick 8…. Beyond that, there are countless ways to rig and fish the senko, many I have mentioned already and I am sure that many I am not aware of. 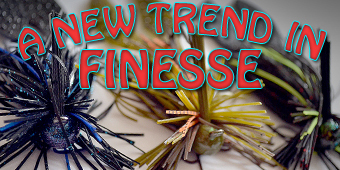 Personally, beyond the wacky style, I like fishing it tex-posed with or with out weight, and with some of the thinner worms I will even put them on shakey head jigs and use a drag/hop retrieve. Now you have a basic understanding of the senko, and what the differences are. I will spend some time in the future talking about brand specific worms, but this article is more about the bait type in general. Get out on the water, wacky rig a senko and start catching fish.